Interested in Selling your Condo in L Ambiance? L’Ambiance Condo Ft. Lauderdale is considered by some to be the most exciting new residential resort lifestyle project located directly on the Atlantic’s golden shores. Listen to the surf and gaze out over a vast panorama of blue water from your private terrace as you live close to the clouds in this magnificent 25-story tower. Celebrate the carefree side of life filled with world-class amenities and a wide range of leisure activities for all your interests. Enjoy the opportunity to stay as busy or relaxed as you care to be. Take a dip in the Atlantic or sunbathe on the sunny sands whenever the urge strikes. L’Ambiance Condo does a truly impressive job of emulating the experience you’d expect in a five star tropical resort within a colorful tropical paradise environment on Ft. Lauderdale’s last prime piece of oceanfront property. Your L'Ambiance Condo home is the pinnacle of luxury. Boasting a stunningly elegant two-story lobby, adorned in marble and hardwood plus interiors that truly reinforce the whole luxurious experience of living in a Fort Lauderdale beachfront condo A gracious, double door entry opens into your magnificent home showcasing all the interior space and privacy of a single-family residence. Dramatic views through walls of tinted sliding glass bring sensational ocean and sunset panoramas into luxuriously-appointed living areas. Private or semi-private high speed elevators whisk you to residences with 9-foot ceilings, floor-to-ceiling windows and sliding glass doors, and expansive glass rail terraces that give you magnificent views and ample room for entertaining or relaxing. Ultra-luxurious bathrooms feature roman tubs and immaculate imported marble floors. European-style cabinetry custom designed for L’Ambiance Beach, granite countertops and KitchenAid appliances showcase kitchens designed for the chef or inspired culinary novice. Inside L’Ambiance Condo, indulge in the state-of-the-art Cybex Health & Fitness Center, an exciting sports lounge with large-screen TV and billiard table, a fully-appointed game room, business center, and a spacious party room featuring a wet bar and catering kitchen. Nearby, a temperature controlled wine room provides individual lockers for your favorite vintages. Step outside to discover a sumptuous oasis of verdant foliage and flowers, ornate patios encircled with palms, a sparkling swimming pool, and a Jacuzzi. This is your own secluded haven for basking in the sun or taking a refreshing swim. Relax on the expansive tropically inspired sun deck perfectly positioned beside the Atlantic. Some of the other wonderful amenities of L’Ambiance Condo include 24-hour security, valet parking and concierge services. Exclusive, majestic and simply spectacular defines life at one of South Florida’s most prestigious oceanfront condominium communities. Nestled within a lush, garden-grove of tropical beauty, the first class residential tower portrays a regal vision of architecture at its finest. Residences are available for sale and for rent, making this luxury address accessible as it is attractive. Located nearby to the best shopping, entertainment and nightlife allows for an exciting and dynamic lifestyle. With every possible amenity and comfort under the sun, you can see why L’Ambiance Condo in Fort Lauderdale offers an incredible experience! Steve Samuels is known as one of the premier Fort Lauderale Beach Real Estate & Condo Brokers in the South Florida market. 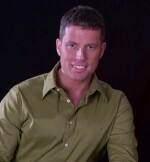 His negotiation skills, market knowledge and no-nonsense, results-driven approach has made him one of the most sought after luxury condominium, Oceanfront, Beachfront Condos, Oceanfront Villas, and single family waterfront realtors from Fort Lauderdale, Hollywood Beach, Sunny Isles Beach, Miami to Palm Beach County. View MLS Listings for Fort Lauderdale, Hollywood Beach, Downtown Miami, South Beach, Sunny Isles, Miami Beach Condos for Sale in South Florida and Miami Beach. CondosandCondos.com is one of the Leading Sunny Isles Beach Real Estate websites where you can find Waterfront, Bayfront, Beachfront Condo Sales, Oceanfront Condos Sales & Rent . Search for Oceanfront Condos Luxury Condos in Fort Lauderdale, Fort Lauderdale Beach, Miami, Miami Beach, South Beach, Sunny Isles, Hallandale, Key Biscayne, Bal Harbour, Fisher Island, Coral Gables, Ocean Drive and all of South Florida. L Ambiance Condos for Sale. L Ambiance Condos located at 4240 Galt Ocean Drive Fort Lauderdale Beach FL. Call 305.494.1767 MLS Listings Oceanfront Condos for Sale.